This golfing ornament is one of a series of very cute holiday ornaments personalized with details you provide. The golf cart personalized Christmas ornament features an avid golfer in search of birdies and in hopes of avoiding bogeys. These attractive and colorful sports ornaments personalized to be lasting keepsakes are great gifts for golfers in your family, golfing buddies or even fun corporate gifts for clients. 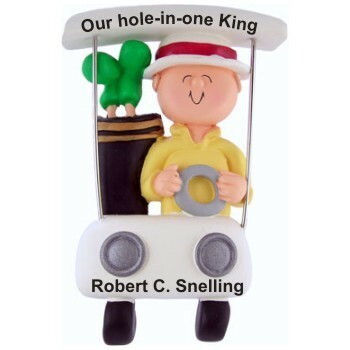 We'll add the custom information you want on the golf male in golf cart personalized Christmas ornament that includes an attractive display cord. 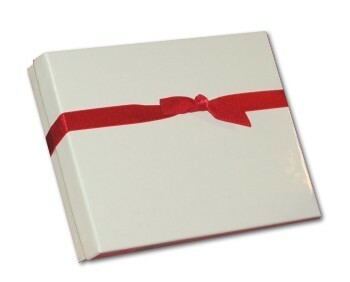 This decoration arrives in our custom velvet gift pouch and works well for the tree or anywhere you'd like to hang it.